Barefoot Books is offering our readers a giveaway of The Girl With a Brave Heart book and Yoga Pretzels deck , a value of $31.98. The Girl With a Brave Heart tells the tale of a girl in Tehran who drops a ball of wool into an unusual neighbor’s yard and summons her courage, wisdom, and compassion in order to retrieve it. The Yoga Pretzels deck is a set of 50 yoga activities for all ages, including forward bends, back bends, partner poses, balance poses, and more. 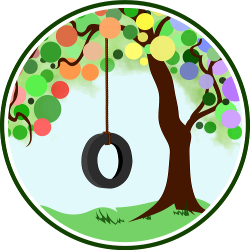 Barefoot Books is an independent publisher that offers a variety of high quality products for children and families, including books, games, CDs, puzzles, and gifts. The core values of Barefoot Books are “imagine, explore, create, connect, and give back.” With books and other items that promote creativity, imagination, and respect for cultural, social, and ecological diversity, there is something for every child! As a family-focused business, Barefoot Books also offers home-based or online business opportunities, as well as fundraising events. Both the book and yoga deck I received for review were of exceptional quality. They remain in great shape after the rough handling my 3.5 year old shows her books and toys! With bright colors and interesting images on the cover of both the book and the card box, my daughter couldn’t wait to dive into them both. 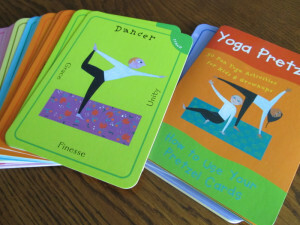 The Yoga Pretzels deck includes 50 cards, each showing an illustration of a yoga pose, exercise, game, or activity on one side, and an explanation on the other side complete with a cute story or imagery for each activity. The cards are color-coded by categories: Breathe, Game, Balance, Stand, Forward Bend, Back Bend, Twist & Stretch, Partner, and Time In. My daughter’s love for these cards goes beyond her love of yoga, she also enjoys sorting the cards by their color/category, naming the various animals illustrated on the cards, and even using them in numerous ways in pretend play. The cards are brightly colored, large for easy handling by small hands, and very durable – they can even be wiped clean. They are not just for kids, my husband and I have enjoyed doing the partner poses; this deck is truly perfect for the whole family. The Girl with a Brave Heart tells the story of Shiraz, a girl from Tehran, as she encounters an unusual neighbor after accidentally dropping a ball of yarn into her garden. Like the Yoga Pretzels deck, the book is clearly well constructed and high quality, and is full of beautiful, colorful illustrations. The clothing and appearance of the characters in the book offer opportunities for discussing cultural diversity and talking about the differences in daily lives in different cultures. After reading this with my 3.5 year old, I believe that this book would be better suited to a slightly older child. The amount of text on each page made it difficult for her to maintain interest, and the subject matter, including parental death, remarriage, and poor treatment by a step-parent, was just a little bit more mature than what she’s used to. While the general content was not well-suited for my family, I loved that one of the subtle lessons in the book was about how people sometimes have difficulty asking for what they really want when they are sad. The book certainly has no shortage of opportunities to introduce challenging topics and promote compassion for others. 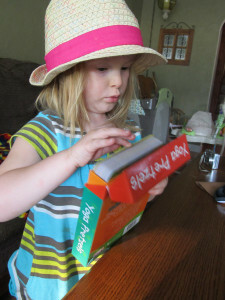 The overall quality of both items from Barefoot Books was impeccable. It is clear that Barefoot Books values offering items that not only capture the interest of children, but that are durable enough to withstand some rough handling. The quality, combined with the evident values of Barefoot Books, make them a company I can absolutely recommend. You can purchase your own The Girl With a Brave Heart book and Yoga Pretzels deck at Barefoot Books. 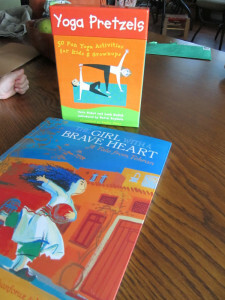 The Girl With a Brave Heart book is available for $16.99 and the Yoga Pretzels deck for $14.99. Shipping is free on orders over $60. And just for Natural Parents Network and Fine and Fair readers, Barefoot Books is giving a 20% discount on all orders for a limited time. Enter code TWENTY13 during the ordering process. For your own chance to win a The Girl With a Brave Heart book and Yoga Pretzels deck from Barefoot Books, enter by leaving a comment and using our Rafflecopter system below. The winner will receive one copy of The Girl With a Brave Heart book and one Yoga Pretzels card deck. Contest is open to the US Only. MANDATORY ENTRY: Enter your name and email address in the Rafflecopter entry system. Leave a valid email address so we can contact you if you win. Email addresses in Rafflecopter are not made publicly visible. This is a joint giveaway with Fine and Fair and Natural Parents Network. You may enter at one site only, and we’ll be recording IP addresses to ensure that there are no duplicate entries. That said, please do visit and enjoy both sites! BONUS ENTRIES: See the Rafflecopter entry system for bonus entries to increase your chance of winning after completing the mandatory entry. All bonus entries are entered directly into Rafflecopter. Give it a try, and email or leave a comment if you have any questions! Contest closes August 17, 2013 at 11:59 p.m. Eastern Time. We would love to have their World Atlas! My preschool daughter will love these. I like the book: A Farmer’s Life for Me and I think my son would really enjoy it!